Codapop is an established venue with a dedicated following, a top-notch studio, and a renowned sound engineer. 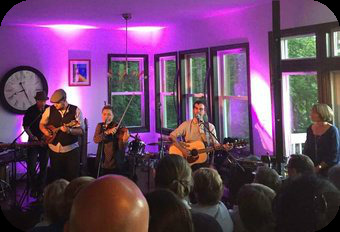 The “House Concert Package” provides artists with the opportunity to generate funds for a recording project with Codapop. The concert also serves as a catalyst for crowd-funding to help expand and unite your fan-base. Performers receive 100% of the ticket sales to use towards recording costs for a 3-day studio session at Codapop. The total cost of the recording session is $1200 plus HST, which includes the services of an experienced engineer. You decide the price of admission for your house concert. The more you earn from the show, the more you have towards your 3-day session. Some performers have already earned more than $1200 from their house concerts! You retain all proceeds above the cost of recording. You also keep all merchandise sales – we take no commission. We have hundreds of social media members and a capacity of 80 guests. 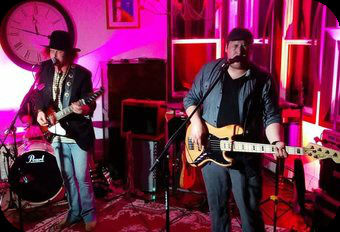 We will actively promote your house concert through social media. How many fans can you bring to support your event? To arrange a consultation, email info@codapop.com. All house concert packages are subject to the final discretion and approval of Codapop.